Welcome to the “FIFA 18: How To Get Coins Fast” guide. 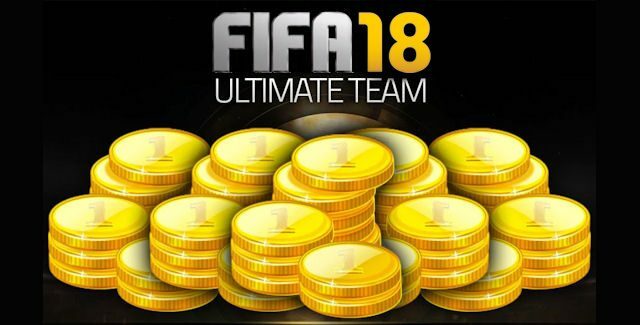 As you know, FIFA 18 Ultimate Team is so much easier if you have lots of coins early on in the PS4, PS3, Xbox One, Xbox 360, PC & Switch game. This FIFA 18 video guide teaches you trade and make coins the fast way. It shows a few different trading techniques / methods to help make you loads of money. The Basics: Trading in short is to: buy low & sell high. The trick is to buy a card under the value of the Buy It Now (BIN) price that you can lookup in-game manually. Tip: Early in the day is the best time to earn coins with FIFA 18 Ultimate Team Trading. Like previous years, you should be able to make a 25% profit with this bidding method* (20% after the 5% EA tax), which is around 10,000-15,000 coins every few hours you put in. – Using all techniques, over time you’ll increase your budget from 25,000-100,000 coins to 100,000-1,000,000 coins and even over a million coins! This will allow you to buy the best ranked players in the game much sooner! * Example: Invest in key players. Pay attention to the players nationality, clubs, pace, height & skill rating. Invest in them early on, and when you release them to the market in the weeks after the game’s release, their prices will increase with a factor two to three in value. Comment if you have any other easy coin tips for FIFA 18. Please do not spam free coin sites, you will get banned.